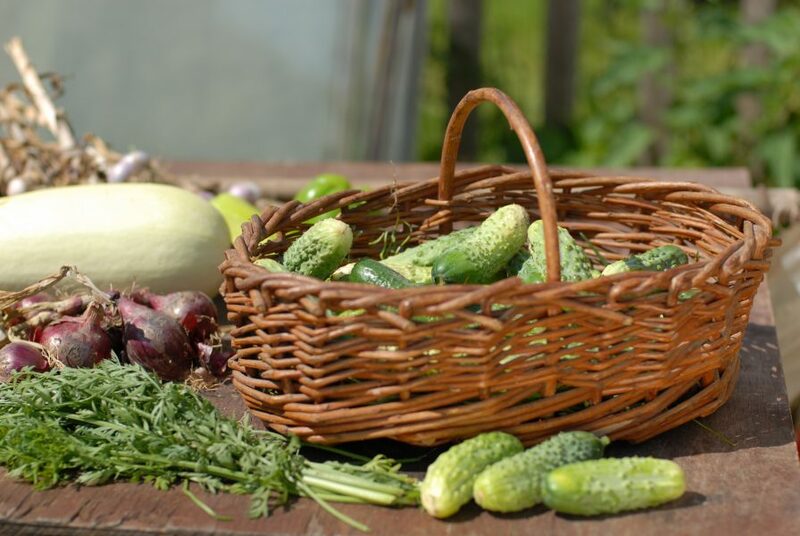 Every spring I get asked the same question–when can I plant vegetables in my garden? Putting vegetables out in the garden depends on a variety of factors. Gardening zones are based on temperatures and frost dates. Most of Massachusetts is in the zone 5-6 range. Average last frost date is around Memorial day or end of May, but can range from mid May to end of June depending upon where you live and the weather that year. Some vegetables thrive in cooler weather while others like it hot. Pea seeds can be put in in early spring or even in fall (though they won’t come up until spring). Garlic and onions are best planted in the fall. Leeks and scallions can go in the garden now. Tomatoes and peppers like it hot. It’s best to wait until your last frost date for those plants. If you plan to start plants from seed, you should start most of your seed 6-8 weeks before you plan to plant them outside. Check your package for the exact time frame. Most seeds take a week to germinate and another few weeks to get a few inches tall. You will also need to harden off (acclimate to outdoor weather) your seeds before putting them into the garden. Massachusetts just experienced a warmer than normal weekend and temperatures are expected to reach 80 this upcoming week. Keep in mind that the evenings are still quite cool and we could still experience a frost. It is best to wait before putting out any heat loving plants unless you plan to protect them with a cover. Another option is to plant in containers and bring them out during the day and back in at night. Thanks James! Best of luck with your garden next year. Let me know how it turns out.